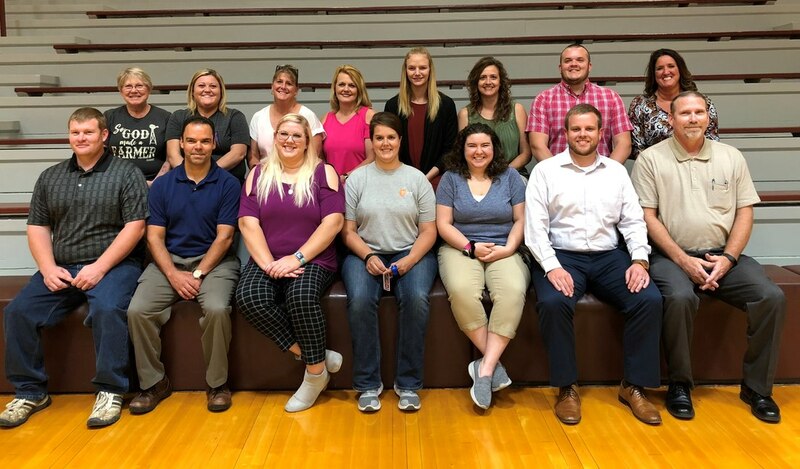 Wheaton Schools welcomes 15 new staff members to their ranks for the 2018-19 school year. New staff members are pictured at left. From left to right, in the front row: Jonathan Pointer, Lewis West, Kaily Harvey, Amanda Miller, Misty Veith, Tyler Willis and Larry Meyer. Back row: Rita Hartwigsen, Kinley Carty, Dawn Speak, Leslie Eutsler, Cheyanne Gudgell, Stephanie Leverich, Cody Hendrix and Trish Wilson.